Home > Cars > Auris > Auris Hybrid press launch: we’re off! Follow us on Twitter and keep a close eye on the blog as we bring you all the news from the Auris Hybrid press launch in Barcelona, Spain. Have to say that price seems to rather high,spec not as good as Prius T3. Would have to look at wether buying second hand Prius T4 or Spirit would be better value.Would also have to weigh up wether running costs are that much cheaper than my Honda Jazz as I changed cars every 2 to 3 yrs and Honda will revise Jazz to put in fully auto box this year which could reduce road tax. Is there any information available at this stage about the capacity of the boot? Sorry for the delayed reply. The boot capacity of standard 2010 Auris is 354 litres, with the hybrid battery taking up 75 litres of space in Auris Hybrid’s boot. For more, check out part two of our Auris Hybrid Q&A. Thanks. Have to admit I’m a little disappointed with the pricing, I hoped Toyota were going to introduce an affordable hybrid. I’m still going to take a look at one when they arrive at the dealers, but the basic specs really need to make me want to part with my money and not just get another new Yaris, which is still £0 road tax on the new models. Have to way up if I would really save that much money on a hybrid over 2 to 3 years. Calling the lowest-spec Auris a T4 isn’t appropriate, since the features more or less match the Prius T3. In fact the Prius T3 has smart entry and start (driver’s door only), which the Auris T4 doesn’t. 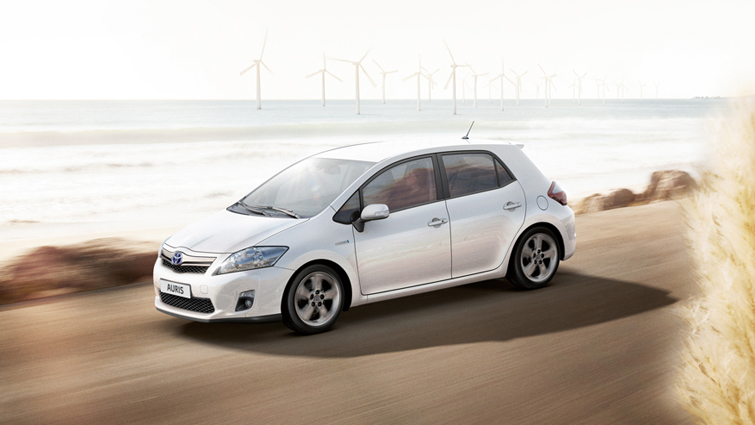 Pricing is also very disappointing – only £500 cheaper than the Prius T3. I was looking at the Auris because it’s smaller – a Prius is quite hard to park just because the average free space on my road is shorter – and because it’s made in Britain. Is British manufacture so expensive that it virtually outweighs the cost of shipping the whole car from Japan?